At the Corona dental office of Dr. Stuart Anderson's, your smile is our top priority. A warm and friendly hello, something cold to drink, or a warm cup of coffee; each of these comforts awaits you in our reception area. When you visit our practice you will experience all that modern dentistry has to offer, including a wide range of general, restorative, implant, and cosmetic dental services to meet the needs of the whole family. Dr. Anderson's goal is to assist each patient in achieving and maintaining long term dental health and to exceed expectations with every patient, every-time. Building a foundation of trust and meeting the unique needs of our patients are the fundamentals of our practice. Part of our commitment to serving our patients includes providing information that helps them to make more informed decisions about their oral health needs. This website is a resource we hope you’ll find both useful and interesting. Please browse through and be sure to contact us if you have any questions or would like to schedule an appointment. 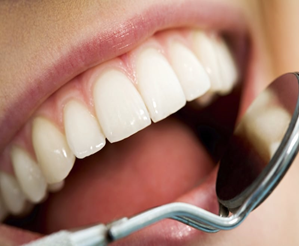 You deserve quality dental care - Call the Corona Dental office of Dr. Stuart Anderson today! *We are conveniently located just off route 15 (Magnolia Exit). Members of my family (children and grandchildren) and friends are also patients. In my almost 67 years, I have seen may dentists, including Navy dentists attached to Marine Corps units. I can honestly say, without reservation, that he is the best of the best when it comes to taking care of his patients. He is very knowledgeable professional and personable. Any procedure he is going to perform is well explained in a language the patient can easily understand before proceeding. When I come to his office it is a "homecoming" of sort, not just a dental appointment. Dr. Anderson and his staff take a genuine interest in you that goes well beyond your dental care.